Yesterday felt like the end of an era. 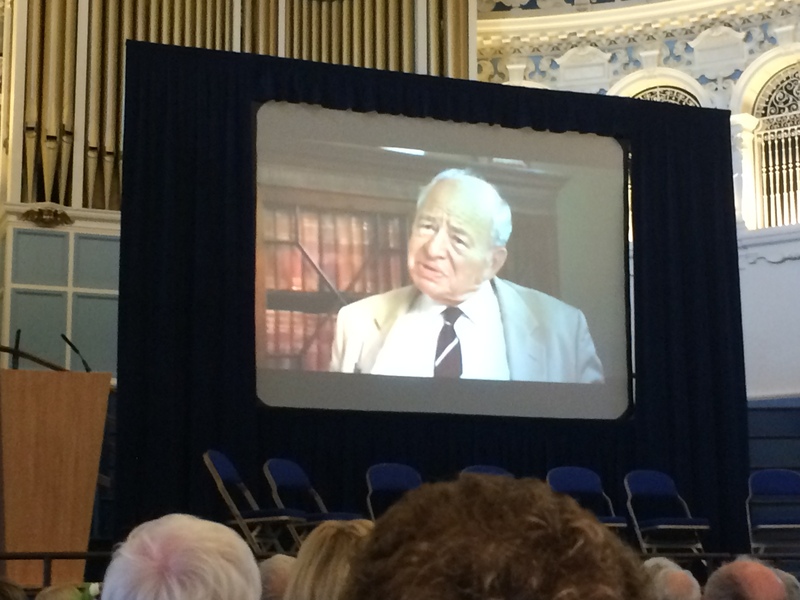 Colin Dexter the inventor of Inspector Morse would have loved his memorial yesterday in Christ Church Cathedral and Oxford Town Hall. It was organised by his fellow crossword compiler and fellow castaway Don Manley. He clues under various pseudonyms. Pasquale, Quixote, Giovanni Duck and Bradman. 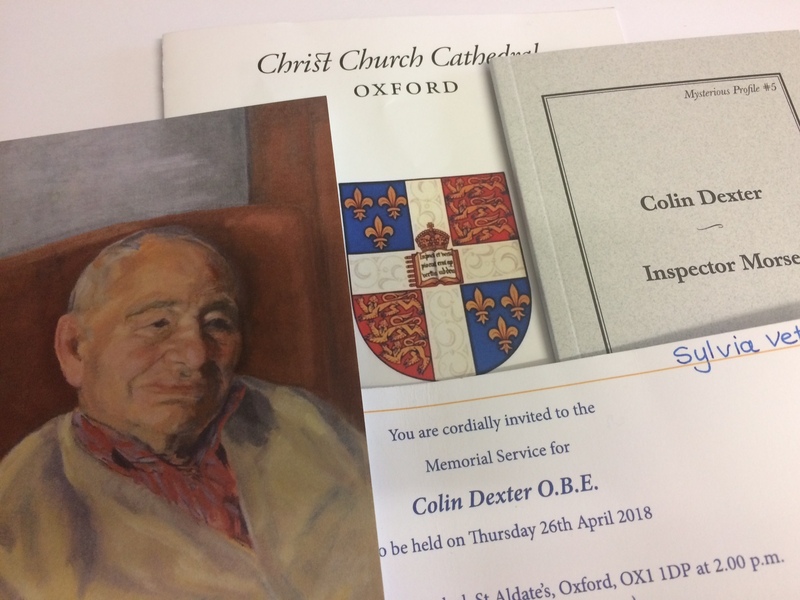 Don was under pressure yesterday to orchestrate a perfect celebration of Colin because his daughter is up for a BAFTA for the impressive TV series ‘Hospital’. She was there and I doubt she could have found even the tiniest slip from perfection. 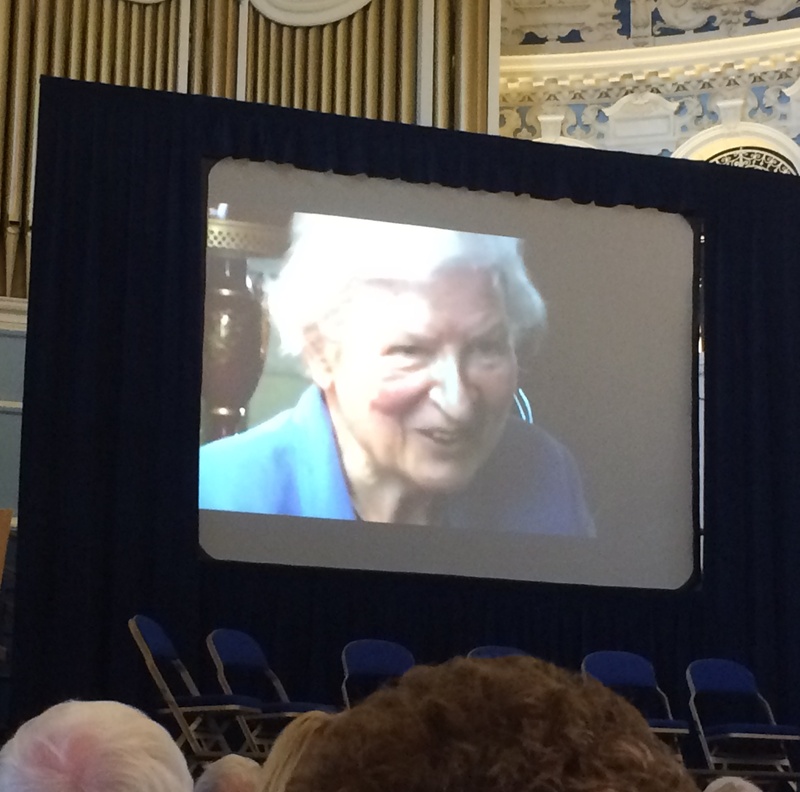 In the Town Hall afterwards as well as inspirational speeches from Philip Pullman and Val McDermid a You Tube was played of the late PD James and Colin in conversation . 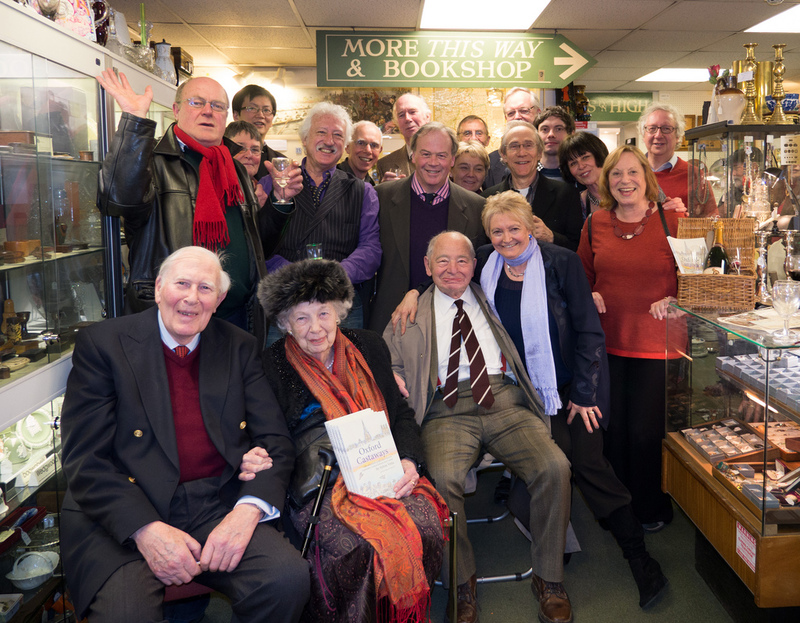 PD James touched my life in the early nineties when she became a regular customer of mine at the Jam Factory. I sat with Moyra Bannister whose husband Roger Bannister died recently. She sketched the Barrington Pheloung Players as they performed the theme music from Inspector Morse. I love the pic of the three of them taken at a castaway event in Antiques on High. 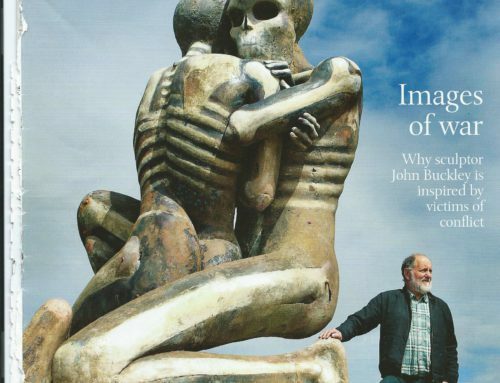 Their castaway features are in ‘Oxford Castaways’ –the first book with the cover illustration by Weimin He. That was appropriately launched in the Cast Gallery of the Ashmolean . 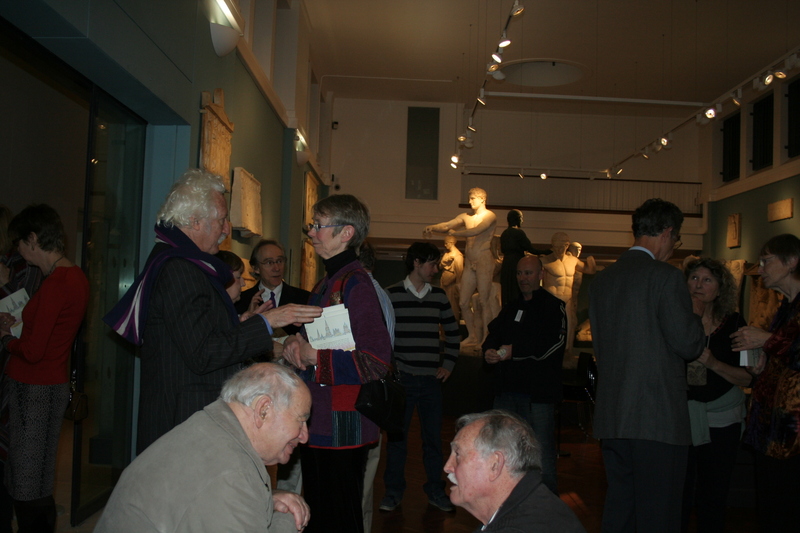 That evening it was filled with many Oxford heroes and heroines. The warm pic of Colin is with my brother Mike. Colin loved to smile.In the background the wonderful founder of the world’s first children’s hospice Sister Frances talking to Bill Heine who owns the iconic Shark House! Oxford will not be the same. If only a little of their magic can rub off on the characters in my second novel Sculpting the Elephant –artist Harry King of Deco-rators and young historian Ramma Gupta!